Last week, the Iowa Supreme Court considered its first case challenging an Iowa Department of Revenue’s (IDOR) assessment of corporate income tax since 2010. [i] In both cases, the taxpayers lost, but this time it was because the taxpayer did not have a taxable nexus in Iowa. The question before the Court in 2017 was whether the parent company of an affiliated group had properly joined a consolidated Iowa return. IDOR determined that the consolidated group was improper and assessed $2,558,989 in tax, plus interest and penalties. The Court agreed, finding that the parent company could not join the consolidated return because it had no taxable Iowa income. 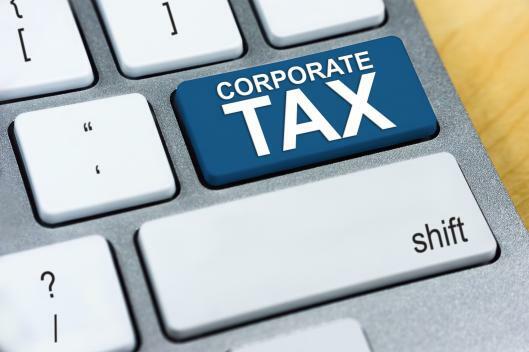 While many corporations may seek to avoid a taxable nexus in Iowa—a state known for its high corporate income tax rate—such was not the case in Myria Holdings, Inc. v. IDOR. Myria, Inc. was the 80 percent owner of NGPL PipeCo LLC (PipeCo), which was the sole member of NGPL, LLC. Myria was incorporated in Delaware with a primary place of business in Texas. NGPL and PipeCo were both Delaware LLCs. The companies were in the business of natural gas transmission and storage. NGPL was the principal operating subsidiary, owning and operating major natural gas transmission and storage systems in Iowa, and PipeCo owned Iowa real and personal property, which it leased to NGPL. Myria owned the subsidiaries, but conducted no independent business in Iowa. NGPL and PipeCo were LLCs that elected to be taxed as corporations. The three affiliated companies filed consolidated federal and Iowa income tax returns in 2009. By including Myria in the consolidated return, the affiliated group was able to offset net income generated by NGPL. The consolidated Iowa return reported a net loss of $10,225,151. IDOR found, both initially and on administrative review, that Myria was ineligible for inclusion in the consolidated return because it had not derived taxable income from within Iowa, as is required by Iowa Code § 422.33(1). A district court upheld the administrative order, and the companies sought review with the Iowa Supreme Court. The Court began by setting forth the rule that in Iowa, an affiliated corporation may join a consolidated return only if its income is taxable under Iowa Code § 422.33, which requires both (1) a taxable nexus in the state and (2) taxable Iowa net income. The Court went on to hold that Myria was exempt from having a taxable nexus in Iowa under Iowa Code § 422.34A(5) because its Iowa activities amounted only to “owning and controlling a subsidiary corporation,” and the corporation lacked a physical presence in the state. Myria argued that it provided significant managerial, administrative, strategic planning, and financial support to NGPL and PipeCo, functions it contended were distinct from its activities of owning and controlling the subsidiaries. The Court, however, disagreed, finding that the activities were merely routine features of a parent-subsidiary hierarchy. Myria specifically argued that it was entitled to join the consolidated return because it received payments of each member’s allocated tax liability, and—pursuant to the terms of a tax allocation agreement—forwarded the subsidiaries’ estimated payments quarterly to the taxing authorities. Myria also argued that it owned shares of stock and money with an Iowa situs. The Court found that Myria’s coordination of the members’ payments of their consolidated tax liability (which included determining the timing of those transfers) was wholly within its responsibilities of being a parent company. Such activity did not remove the parent from the safe harbor of Iowa Code § 422.34A(5)’s parent company tax nexus exemption. [ii] Because all of Myria’s Iowa activities were activities of owning and controlling its subsidiaries within the meaning of this exemption, the Court held that Myria also did not acquire a taxable nexus by owning stock or money in Iowa. Thus, Myria was not eligible for inclusion in the affiliated companies’ consolidated return. The Court concluded with the statement that when the affiliated group chose to have its subsidiaries taxed as corporations, it chose the advantages, as well as the disadvantages, that accompanied that election. This case is distinguishable from the 2010 case of KFC Corp v. IDOR, in which the Court ruled that KFC Corporation, an out-of-state restaurant business, was responsible under Iowa Code § 422.33(1) to pay Iowa Income tax on royalties derived from licensing its franchise in Iowa. The more controversial holding in that case, however, was that the imposition of tax on KFC did not impose an undue burden on interstate commerce in violation of the dormant Commerce Clause of the United States Constitution. Of course, this question was not before the Court in 2017 since Myria was seeking to be taxed in Iowa, not to avoid the reach of IDOR. The case is Myria Holdings, Inc. v. IDOR, No. 15-0296 (Iowa Sup. Ct. March 24, 2017). [i] KFC Corp v. IDOR, 792 N.W. 2d 308 (Iowa 2010). [ii]Stating that: A foreign corporation shall not be considered doing business in this state or deriving income from sources within this state for the purposes of this division by reason of carrying on in this state one or more of the following activities: (5) Owning and controlling a subsidiary corporation which is incorporated in or which is transacting business within this state where the holding or parent company has no physical presence in the state as that presence relates to the ownership or control of the subsidiary.